Our chair Flora brings freshness and a new look into your home. The curves on the seat give it a more contemporary style and lightness. 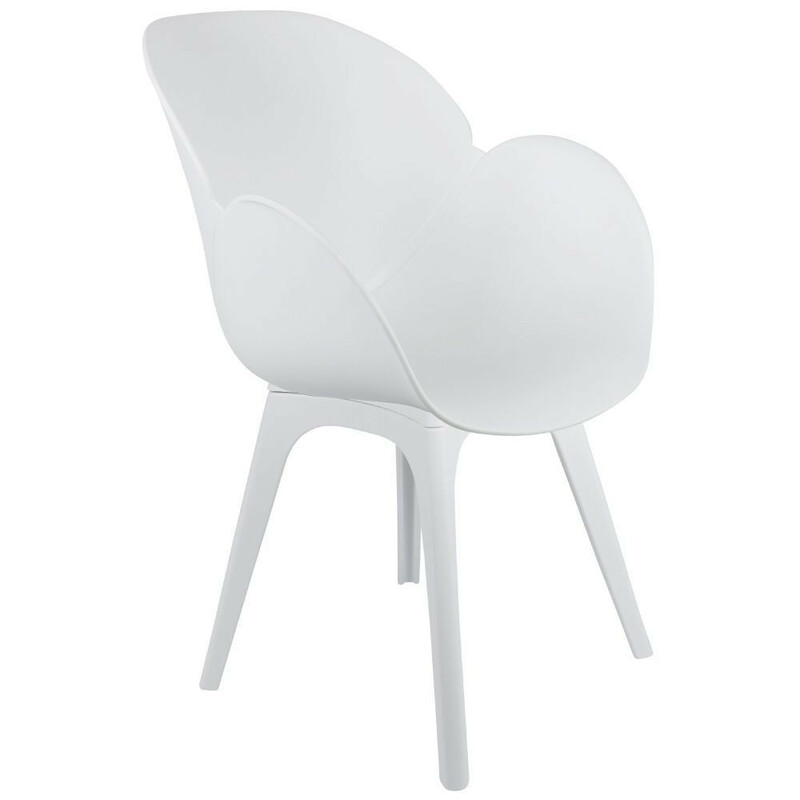 With the chair Flora, Scandinavian style will invite you and please many of your guests. Winter or summer - this model will fit on a sunny terrace or in a cosy seating around a fire. The XW Flora is timeless, you will definitely be satisfied. Ideal rooms: Living room, terrace, playroom. DFR: Depth 58.5cm, Width 58cm, Height 84.5cm. Lacquered metal. KHEOPS: Depth 59.5cm, Width 58cm, Height 86cm.Chrom. XW: Depth 59cm, Width 58cm, Height 85cm. Lacquered metal and natural wood. STAR: Depth 59cm, Width 58cm, Height 85cm. Lacquered metal. PREMIUM: Depth 58.5cm, Width 58cm, Height 85cm. Lacquered metal. SBW: Depth 59.5cm, Width 59cm, Height 84.5cm. Natural wood.